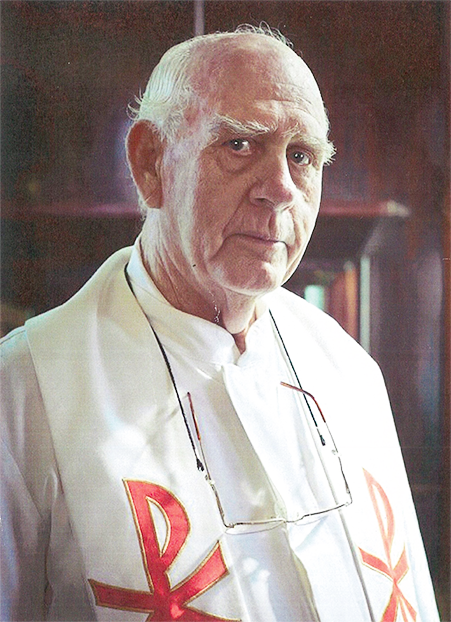 FR Don Smith, who died in Townsville recently aged 85, was remembered as a caring and compassionate man. Fr Smith, a priest for more than 60 years, died at Townsville’s Mater Hospital on March 10 and his funeral Mass was celebrated at Sacred Heart Cathedral on March 21. Ordained at the Sacred Heart of Jesus Church, Ayr, on June 26, 1955, Fr Smith had ministered at most parishes throughout the diocese. During his Vigil and Sharing of Memories at the church where he was ordained, his brother-in-law Ralph Escriva shared that Fr Smith had always wanted to be a priest. “When Don was in primary school he asked his mother, ‘What do I need to do to become a priest?’,” Mr Escriva said. Family was important to Fr Smith throughout his life and he celebrated many of the family’s weddings, baptisms and many birthdays. His family also liked celebrating with him and many attended his 25th, 50th and last year’s 60th jubilee as a priest. “In his last weeks in hospital he still enjoyed visits by family and friends,” Mr Escriva said. Fr Alan Sheldrick spoke about Fr Smith’s passion for people. “When he talked about people, it was with the utmost charity; he never had a bad word against anyone, never put anyone down,” Fr Sheldrick said. During Fr Smith’s time in Ayr and Home Hill he was a great support for the Catholic Women’s League. Ellen Lunn, from the CWL, spoke passionately about his role as spiritual director from 1973-89 and his support for the CWL. “One of my greatest memories of Fr Don is photographers trying to get Fr Don to smile for a photo; is it any wonder that he wanted no photos on the front of his booklets,” she said. “Sometimes Fr Don may have come across as a stern taskmaster, but we saw him as a caring, compassionate man who would give all he owned to the needy if necessary.